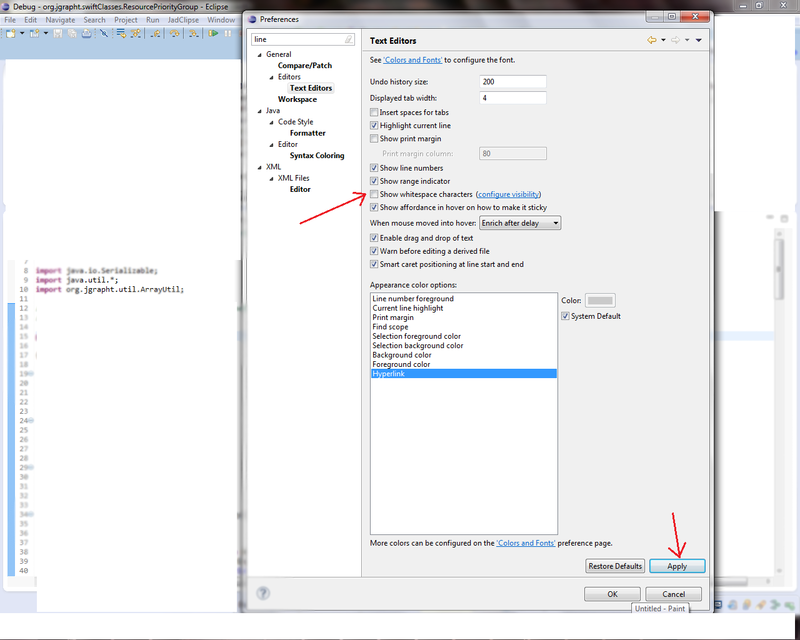 White Space Character is visible in Eclipse Editor. Got to Windows menu -> Preferences. 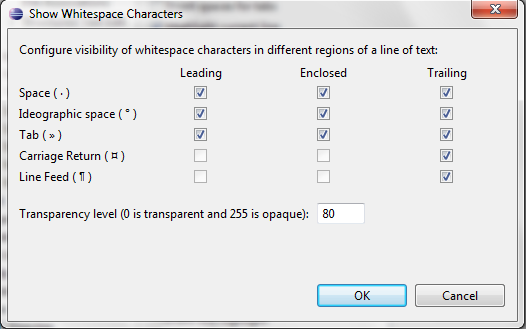 Deselect the Check Box "Show White Space Characters"
or you may also configure the visibility of different white Space Characters.